Nintendo Power is probably the most well-known video game magazine in the last 30 years. I remember being very sad when I heard it had printed its last copy in 2012. While it may have been one of the most popular magazines, it definitely was not the first of its kind. Several gaming magazines debuted in the '80s both in the US and the United Kingdom when Atari, Amiga, Spectrum, and Commodore were household names. Most were short-lived and were lucky to publish more than 20 issues. But what made those magazines great was features like original artwork (even the ads) that made our eyes light up when we flipped through the pages. What's amazing is most of these gaming legends are archived online today. Let's take a quick look at the legacy of the 10 best magazines that began in the '80s not named Nintendo Power. 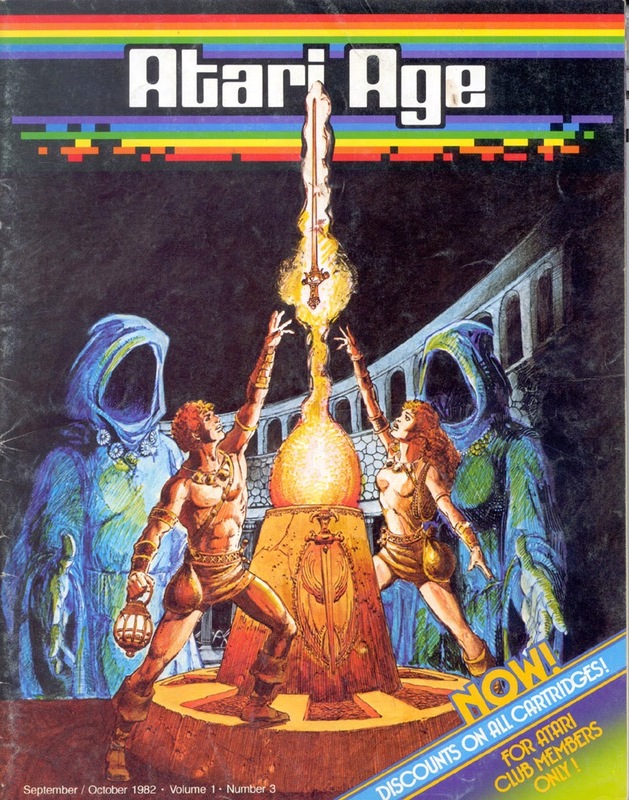 Atari Age was a bi-monthly publication that made its debut in 1982 in the US. It started as perk for members of the Atari Club after joining for just $1. Its last issue was published in 1984 after Warner Communications sold the consumer right to Atari. All 11 issues are available online by visiting the archive at the AtariAge.Com website. 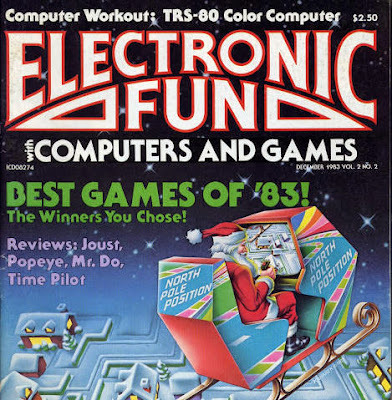 Electronic Fun With Computers & Games was a US publication than ran from 1982-84. It featured reviews on equipment and games, plus special and regular feature sections. All issues are available online through the Archive.Org website. 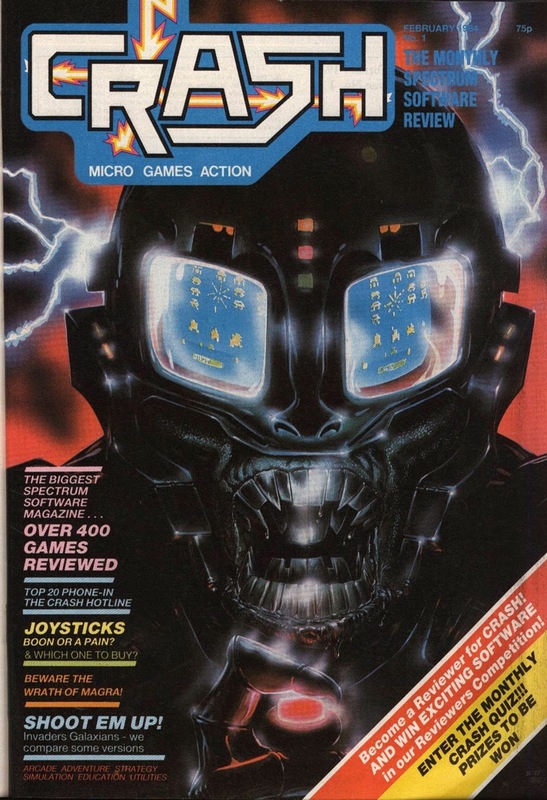 ACE magazine ran from 1987-92 in the United Kingdom and featured game reviews mainly from home computing systems like Atari ST, Amiga, C64, ZX Spectrum and Amstrad CPC. But the magazine also reviewed consoles as you can see in the lower left corner of its initial cover. ACE also included demos on cassette and later, floppy disks that came with the magazine. You can find an online archive of ACE magazines at the Archive.Org website. Videogaming Illustrated was an American publication from 1982-84. It went through two name changes, finally settling on Video and Computer Gaming Illustrated in January 1984. Features included reviews of console, computer, and arcade games. It's downfall coincides with the famous video game crash of 1983. Some issues available online at the Archive.Org site. 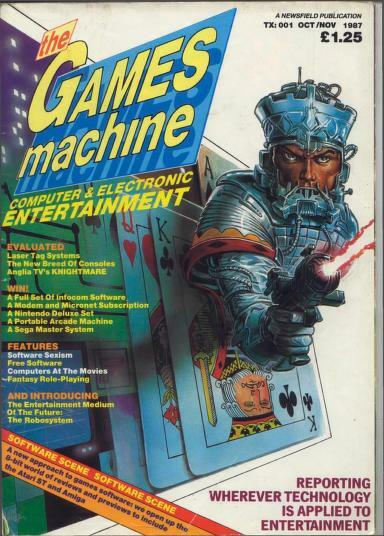 The Games Machine was a British publication that rivaled ACE and Computers & Video Games magazines from 1987-90. Its reviews mainly focused on console games from the NES, Sega Master System and Mega Drive. Gaming magazine publisher Newsfeld terminated the magazine in 1990 after it was unsatisfied with the profits. Find all issues of The Games Machine online at the Archive.Org website. For 23 years, Computer and Video Games magazine ruled the UK with its debut issue published in November 1981. Its tradition includes the Golden Joystick awards which first appeared in 1983. Although the magazine ceased publication in 2009, the CVG website lives on today. View the complete CVG library at the Archive.Org website. While CVG ruled across the pond, Computer Gaming World was one of the top gaming magazines in the US for 25 years. Its debut issue was published in 1981 and would undergo a name change in 2006. After 268 issues, CGW became Games for Windows: The Official Magazine. The complete archive can be found at the CGWMuseum.Com website. Crash magazine debuted in the UK in February 1984 and ran for 98 issues until April 1992. Its content exclusively focused on the ZX Spectrum home computer. After publisher Newsfeld was liquidated in 1991, Crash was "combined" with Sinclair User, which actually meant just the magazine logo on the front cover for several issues. Find the complete archive at the CrashOnline.Org.UK website. Electronic Games ran in the United States from 1981-85 during the golden age and again in 1992-97 during the 16-bit era. The magazine went through several name changes including Computer Entertainment, Fusion, and Intelligent Gamer. Its awards referred to as the "Arkies" were some of the first to be handed out in the industry which included console, arcade, and computer games. 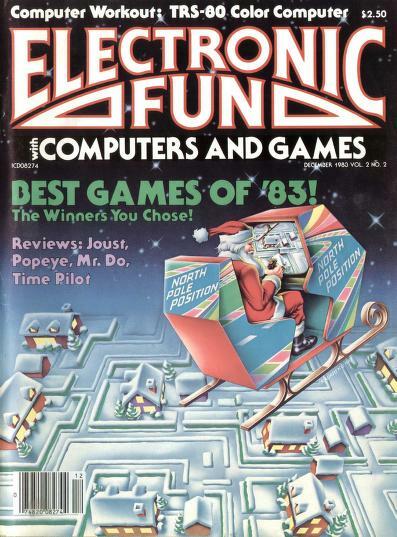 All issues of Electronic Games can be found online at the Archive.Org website. 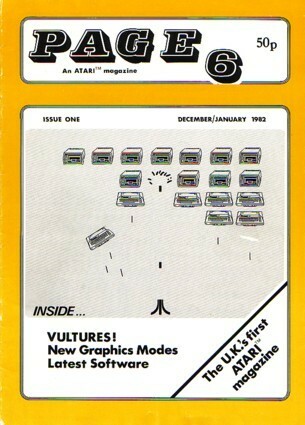 Dubbed as "the U.K.'s first Atari magazine," Page 6 ran from 1982-98. It changed it's name to Page 6 Atari User and then to New Atari User during its run of 85 issues. The magazine encourage readers to submit articles and computer program information. Find the first 32 issues at the Page6.Org website.